Nintendo have seemingly moved to disperse hopes that they are to unveil a new 3D Mario adventure, akin to the critically-acclaimed Super Mario Galaxy, at the Electronic Entertainment Expo (E3) 2012. 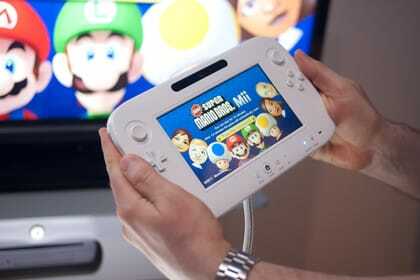 This was New Super Mario Bros. Mii, showcased at E3 2011 as a technical demonstration for the kind of “experience” that Wii U owners could expect from the new home console. “In a recent interview, Mr. Miyamoto confirmed that a new Super Mario Bros. game for the Wii U system will be shown at this year’s E3 Expo,” a Nintendo representative clarified to GameSpot. I’d have preferred it to be a brand new kind of Mario Bros game, rather than a NSMB type one, but I’m still looking forward to seeing it.